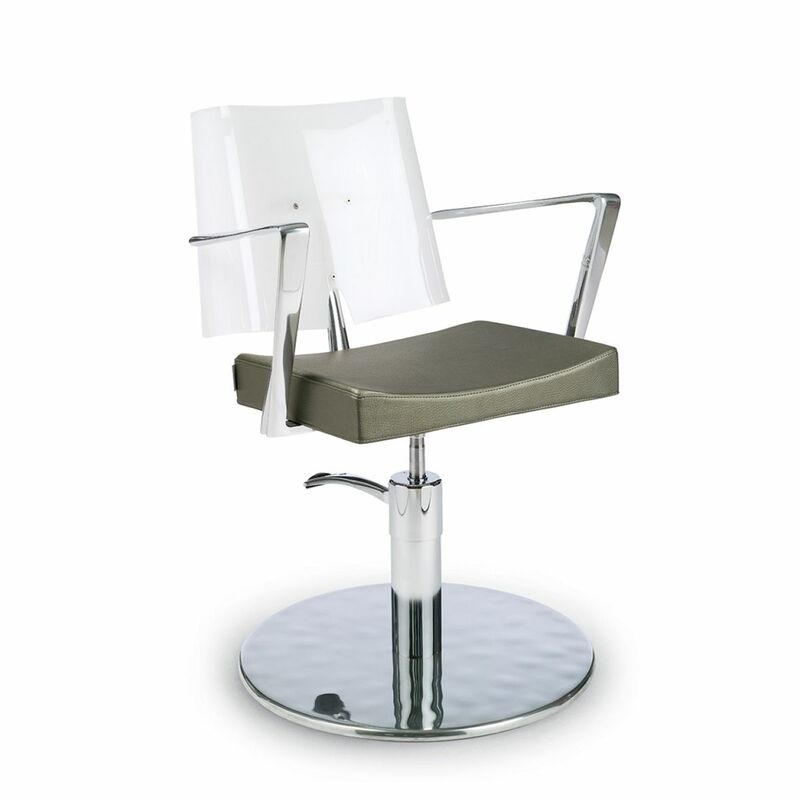 This specially designed chair top for color areas, has a modern design with sleek chrome detailing. The backrest is a milk color made from methacrylate material that will not stain. It has generous room on the upholstered vinyl (available in different colors) seat that will give clients a comfortable experience. The chair can be mounted on any Gamma & Bross pumps and bases (not included).